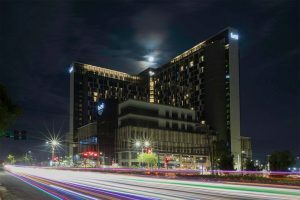 WorldHotels, a global brand representing more than 350 independent hotels around the world, announces the latest updates in its portfolio with the addition of Makati Diamond Residences, bringing the total number of WorldHotels properties in Philippines to four. Centrally located at Manila’s Central Business District, the hotel is right across the popular shopping mall, Greenbelt, a few steps away from Ayala Avenue, and within seven kilometers from Ninoy Aquino International Airport, making it the perfect location for business and leisure travelers alike. 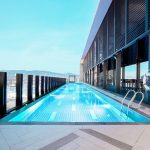 Complementing the joining of Makati Diamond Residences to the collection, bai Hotel Cebu, a WorldHotels affiliate hotel in the second largest city in the Philippines, recently celebrated its grand opening on 23 November. With the hotel’s availability of complete facilities and full inventory of 668 rooms that boasts spectacular harbor and city views, bai Hotel is now presented as the newest lifestyle hotel in Cebu for both business and leisure travelers. 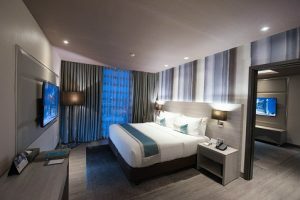 The hotel offers 410 spacious guestrooms, each modernly designed in neutral palettes and fitted with luxury European and Filipino furnishings from Calligaris, Bo Concept and Las Palmas. Designed for both overnight and extended stays, all rooms feature special amenities such as a fully-equipped kitchenette, a washer and dryer unit, 55” LED television, and large shower and bath areas. Complimentary benefits include Wi-Fi and local calls, an in-room minibar, and admission entry to Ayala Museum. With a total of 1,500 square meters of function space, Makati Diamond Residences offers the perfect setting for any occasion, whether for a grand event or intimate affair. For big functions looking to make a memorable statement, the stunning Legaspi Ballroom can seat up to 400 guests, and features a high ceiling, fancy chandeliers and a spacious foyer. The hotel also offers unique venues for exclusive events such as a kitchen studio, an outdoor roof deck and an executive boardroom. Business travelers will be pleased to know that the hotel’s Business Centre provides administrative services such as photocopying, printing and scanning, as well as private meeting areas for group discussions. Besides a selection of 4 restaurants and bars for all-day dining in the hotel, guests are presented with an innovative and unique dining option by giving them the flexibility of using their breakfast privilege outside of the property. Upon check-in, each guest is offered a “Dining Card” that provides additional dining choices with 12 partner restaurants. Dining privileges are loaded daily, and unused balance can be accumulated for use throughout the stay. Conveniently located between the bustling cities of Mandaue and Cebu, bai Hotel Cebu is a mere 25-minute drive away from Mactan-Cebu International Airport and is one of the largest properties in the city catering to both business and leisure travelers. The domestic seaport of Cebu is a 10-minute drive away while Cebu Business Park and Cebu IT Park are 25 and 20 minutes away respectively. Popular tourist attractions in the city such as the Fort San Pedro, Basilica Minore del Santo Niño de Cebu and Magellan‘s Cross Monument are easily accessible by car or public transport. A local independent hotel fully equipped to outstanding world class standards, all rooms in bai Hotel Cebu are designed in contemporary hues and equipped with modern amenities for security and a good night’s sleep. For guests who prefer larger spaces with personalized service, the hotel’s Executive One Room suite is an excellent choice with perks such as a 24-hour butler service, complimentary two-piece laundry and shoe shining daily. Meeting facilities are aplenty at bai Hotel Cebu, with 12 function rooms to boast. With over 1,980 square meters of event space for up to 1,500 guests, the hotel is truly the ideal location for events of all kinds, from the most intimate to the grandest of affairs. Conference and events services, a business center and serviced offices are also available upon request. For upscale events, guests can consider the Lapu-Lapu Grand Ballroom, which can accommodate up to 400 guests and features a built-in LED video wall, two projector screens, elegant chandeliers and space flexibility.